If you have earned your bachelor’s degree and you are planning for master’s degree in some professional course. Then it may cost you a lot of fees and it may be possible that you might be unable to pay for that. So, in such a situation, you don’t need to pause your career, keep moving with some of the options that help you in earning enough bucks for your postgraduate degree course. About 70% aspirants receive an average of around $10’000 as scholarship for their higher education. There are many ways of getting financial support for higher education from the institutions or other resources. 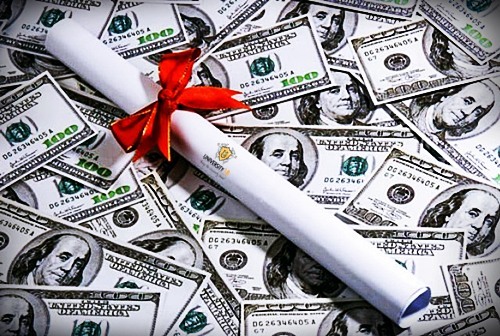 Here are some of the best ways to earn cash for your higher education degree programs. 100% Scholarship: You can get your higher degree programs with 100% scholarship for fees. There are many organizations such as uGlobal which is India’s first tuition free university offering management degree courses free of cost. Part Time Job: After getting your bachelor’s degree, it is considered that you have sufficient knowledge and skills that you can do some job which lets you earn your pocket money. You can keep your higher education course continue while working for some company. And the best will be joining some online post graduation course such as management courses offered by University18. Working for Institute: Some education institutes may reduce your course fees if you are agree to work for them. It will be interesting option to work for the organization with which you are studying. The financial aid office can help you in finding the information regarding this. Online freelance Work: If you have strength and potential to offer some services such as software development, administration tasks, graphic design, fashion and designs etc for industry, society etc. You can be a freelancer worker, and earn enough money for your online courses. There are plenty of websites that offer freelancer jobs over the globe. Offering Tuition: Educating others is one of the best tasks that a person can do for society. After getting your bachelor’s degree, you can offer tuition to school or college students resulting in earning you handsome money for your higher education. Offering tuition to students will improve your talent and soft skills too. Further, some companies might offer you scholarship for your higher studies. So it will be beneficial to work in such companies after your bachelor’s degree. Consider doing some doctorate in your field if available, because there are more chances of getting financial aids for doctorate program instead of master degree program.